Supreme Court blames both Delhi Police and Baba Ramdev for Ramlila Maidan crackdown! Supreme Court’s decision on 4-5 June 2011 Ramlila Maidan Crackdown! February 23rd 2012 – The Supreme Court today held both Baba Ramdev and the Delhi Police responsible for the Ramlila Maidan crackdown on 4-5 June 2011. The Supreme Court declared the State Government and the Delhi Police could have avoided the voilent incident and also agreed that people were assaulted by police on the night. However, it also concluded that complains should be regsitered against the aggressive supporters of Baba Ramdev and the cops who assaulted the crowd as both the parties were responsible. Compensation of Rs 5 Lakhs to the victim Rajbala, who died of wounds was announced for the family and Rs 50,000 and Rs 25,000 for critically and slightly injured people ,respectively was also announced. 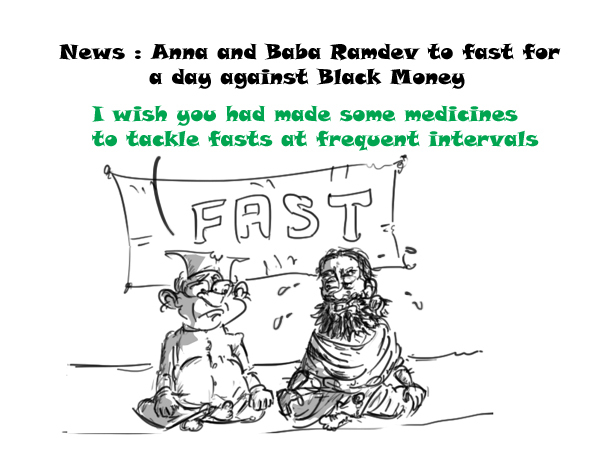 Baba Ramdev was asked to compensate 25% of the amount and rest by Delhi Police.